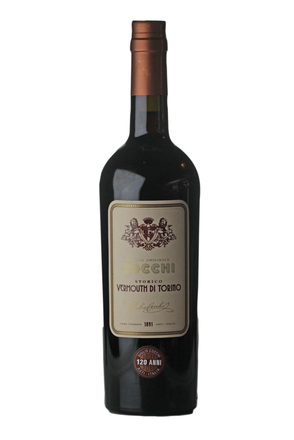 Vermouth is a fortified wine, part of the ‘aromatised’ wine family, flavoured with aromatic herbs and spices. It is distinguished from other aromatised wines due to its being flavoured with Artemisia absinthium (absinthe wormwood). Vermouth is a staple cocktail ingredient, appearing in a huge percentage of both classic and contemporary libations. 1. Must be flavoured with at least one herb from Artemisia wormwood family- although the species and quantity is not specified. 3. Have a minimum alcohol strength of 14.5% and a maximum of 22% alc./vol. To quote Giuseppe Gallo, Martini Vermouth Global Brand Ambassador, "a vermouth without wormwood is like a limoncello without lemon." 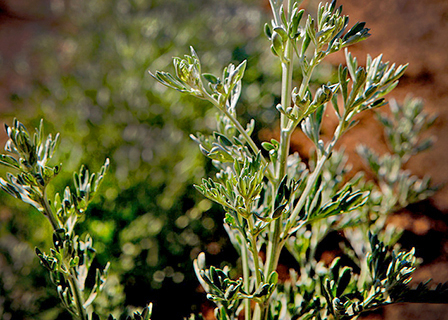 Wormwood is a bitter plant from the Artemisia genus. 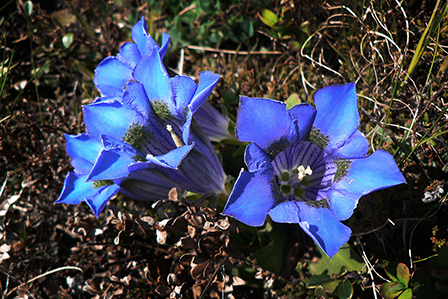 It is also used for anything from insect repellents, antiseptics, digestives, and even to clear worms from patients - hence the name. When it's deconstructed, the word 'wermut' itself translates as Wer (man) and Mut (courage) - 'man courage' -befitting if you think about it. While defining exactly what a vermouth is (or isn't) it is worth stating that vermouths are not required to be (and usually aren't) 'vin cuit' (cooked wines). They are also not particularly acidic - in fact vermouths are often less acidic than average table wine. 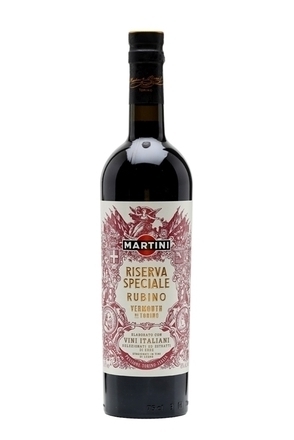 Besides the difference between sweet and dry martinis, the obvious variation in vermouth styles depends on the quality of wine used, and the combination of the botanicals. The two production areas in the ancient kingdom of Savoy (see history below) generated different styles of vermouth, and popular belief has it that Italian vermouth was originally sweet and produced from red wine, while French vermouth, which was typically dry white, followed later. 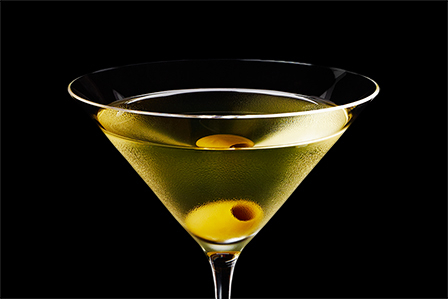 Hence, many old cocktail books refer to 'French' for dry vermouth and 'Italian' where sweet vermouth is called for. The truth is that the division between the styles of the two production areas was never that defined and producers in both countries now produce both sweet and dry styles. Although red vermouth was initially based on red wine, now virtually all is made from white wine with caramel added to give an amber-red colour. Some French vermouth producers discovered that ageing their wine in oak after fortification improved the vermouth considerably. They also found that if the oak barrels were left out in the open, exposed to the weather and atmospheric changes, then the ageing process would be accelerated. It is fair to generalise that French vermouth tends to be aged in oak casks and usually have a spicy aroma (well known names include Noilly Prat and Chambéry). Italian vermouth has a broader range of styles (Cinzano and Martini are by far the best known) with production centred around Turin. Extra-dry: less than 30 grams of sugar per litre and a minimum of 15% alc./vol. Dry: less than 50 grams of sugar per litre and a minimum of 16% alc./vol. Semi-dry: between 50 and less than 90 grams of sugar per litre. Semi-sweet; between 90 and less than 130 grams of sugar per litre. Sweet: 130 grams or more of sugar per litre (150 grams is common). 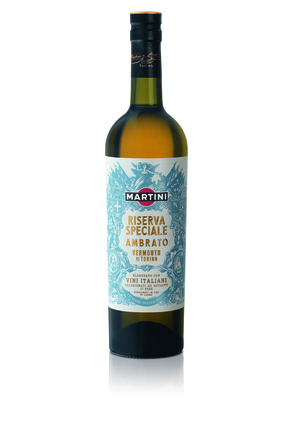 Dry vermouths are white (or with a slight golden tinge) and although are good served chilled straight as an aperitif, dry vermouths are mainly used in cocktails and other mixed drinks. It is common to flavour vermouth with fruits, particularly orange, lemon and strawberry. A well-known example is the traditional French strawberry-flavoured Chambéryzette, while Cinzano and Martini now also offer various flavoured versions. There's no specific creation date for vermouth, but it is known that the Greek physician, Hippocrates, used to make it - and that was way back in 400BC. Hippocrates macerated wormwood and dittany flowers in strong, sweet Greek wine, creating a digestive which became known as 'Hippocratic wine' or vinum absinthianum which he prescribed for rheumatism, anemia and period pains. Traditional healing wisdom believed that a good diet needed to encompass a wide spectrum of flavours. Herbalists would therefore macerate herbs and spices in wine for medicinal purposes to create a tonic - it's said that the ancient Greeks believed so strongly in the curative powers of absinthe wine, they believed it an antidote against hemlock and mushroom poisons. If we skip forward to Roman times, aromatic wine recipes became increasingly elaborate as ever more exotic spices became available to the herbalists. They blended wine with fragrant Mediterranean herbs such as wormwood, dittany and honey to create aromatised wines that were highly prized for their health-giving properties. The wormwood wines were an integral part of Roman social occasions, particularly feasts as the Romans ate lying down and the wine aided digestion. At the time, Savoy had an abundance of grapes, but it made very mediocre wine which needed pepping up. The other reason that the region naturally leaned toward vermouth production was proximity to major trade routes like Venice which received shipments from east Africa, India and Indonesia. Venetian spice merchants traded newly available herbs and spices such as cardamom, cinnamon, myrrh, cloves, rhubarb, ginger and sandalwood, which inspired new flavours in vermouth production. The point where we can begin to identify modern day vermouths was round the 1500s when a merchant from Piedmont called Jeronimo Ruscelli, a.k.a. 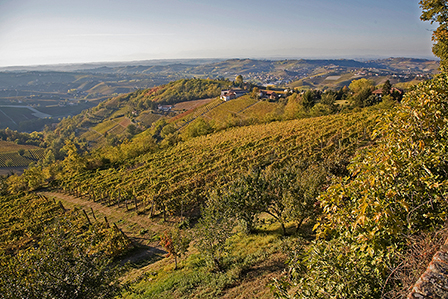 Alessio di Piemonte is known to have been selling wormwood wine in northwest Italy. In 1555, his book Secreti del reverend donno Allesio Piemontese is published. In 1563, Emmanuel Philibert, the King (Duchy) of Savoy moved the capital of his Kingdom from Chambéry to Turin in the Piemonte region due to the territory being less vulnerable to French invasion - at the time his lands were under pressure from both the French and the Spanish. 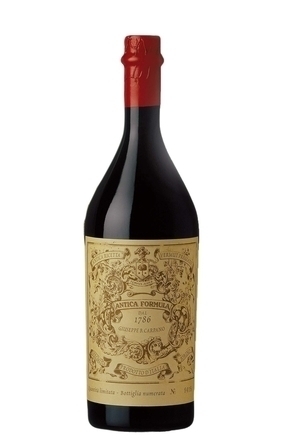 The king and his courtiers adopt the Piemonte tradition of aromatic wine and in 1768, name it 'Aperitivo de Corte'. The fashion for the wine spread to the Royal Court of Bavaria where "Wermut Wein" was popular, again a reference to the use of wormwood to flavour and give health-giving properties to the wine. It is said the fashion for aromatic wine then found its way to the French Court who pronounced it "Vermouth". The fashion leads to the first apothecary shops to emerge in Turin selling wormwood formulations as a concentrate for people to mix with wine at home. In 1786, the first commercial brand of vermouth was created in one such apothecary shop under the porticos in Piazza della Fiera (now Piazza Castello) by Antonio Benetto Carpano. He used good quality wine made from moscato grapes rather than the poor wine used by others, enhanced this with ingredients mixed by local monks and alcohol to fortify and preserve the final recipe. He was not, as is often mistakenly claimed, the first person to invent vermouth, merely the first to commercialise it. He named his recipe 'Wermut' after the German word for wormwood. Carpano's new wormwood rapidly became popular amongst courtiers and high society, leading the Duke of Savoy, Amedeo III to suspend the production of the court's liquor rosolio (rose and spice liquor) and order Carpano's Wermut instead. Due to French being the main language spoken in Savoy, use of the German 'wermut' was gradually dropped and the French word 'vermouth' used instead. Joseph Noilly, a herbalist in Lyon, was shipping wine in barrels and found the salty atmosphere beneficially contributed to its flavour. So in 1813, he moved to the port of Marseille and set out to replicate this, flavouring his wine with botanicals such as wormwood, camomile and bitter orange, creating the dry aromatic vermouth we know today as Noilly Prat. 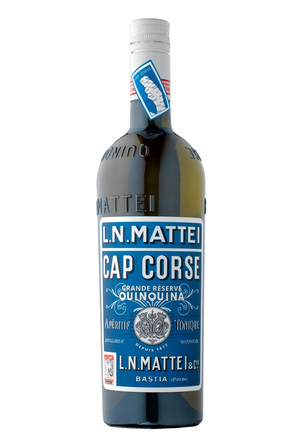 Other families followed Carpano and Noilly's example and started to commercialise vermouth. Most notably in Italy: Martini & Rossi, Cinzano, Cora, Cocchi, Gancia, Toso and Riccadonna. And in France: Dolin and Lillet. Meanwhile, Turin, the capital of Savoy remained the centre of vermouth production and in 1840 the King of Savoy issued a royal Decree protecting the wine and forbidding sale of the wine outside of the Piemonte region. 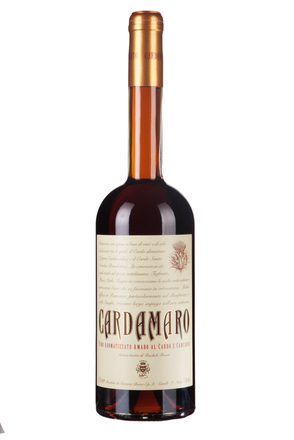 The Turin vermouth style was sweet, following the style created by Carpano. The Kingdom of Italy was a state founded in 1861 when King Victor Emmanuel II of Sardinia was proclaimed King of Italy. 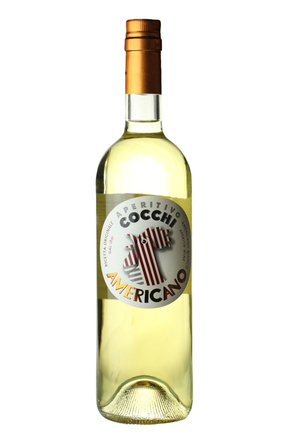 Consequently from this point onwards there is French and Italian vermouth with the French style, with production centred around Marseille, typically dry and the Italian sweet. Hence, vintage cocktail books list 'French vermouth' and 'Italian vermouth' rather than 'dry vermouth' and 'sweet vermouth'. By the twentieth century, the medicinal image of vermouth hampered rather than helped as far as the marketing was concerned. Luckily, vermouth was adopted by cocktail bartenders, and rode on a wave of popularity as a mixing ingredient. 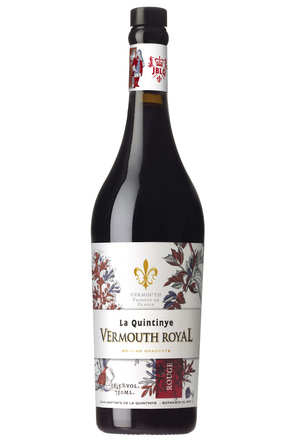 The wine used in the production of vermouth must account for at least 75% of the finished product so inevitably the quality of that wine will greatly impact the quality of the vermouth. Generally speaking, neutral white wines which are resistant to oxidisation are preferred. They must be low in tannins to avoid them maderizing with age and turning a darker colour. The botanicals (leaves, flowers, fruits, seeds, roots and barks) are the natural flavourings which characterise vermouth and an extremely wide variety are employed in vermouth production including: Angelica, Bay, Camomile, Cardamon, Cinchona, Cinnamon, Clary Sage, Clove, Coriander, Dittany Of Crete, Elder, Gentain, Ginger, Hops, Juniper, Lemon Balm, Lemon Peel, Liquorice, Marjoram, Nutmeg And Mace, Orange Peel, Orice, Quassia, Raspberry, Rhubarb, Rose, Saffron, Sage, Savoy, St John's Wort, Star Anise, Thyme and Vanilla. As mentioned earlier, additionally vermouth must contain Artemisia and virtually all varieties of this spice contain thujone at various concentrations. Thujone is the 'bad boy' ingredient of absinthe, wrongly blamed for 'absinthe madness' and 'absinthism', blamed for symptoms including hallucinations, facial tics, numbness and dementia. Vermouth lovers will be relieved to read that thujone is found in higher concentrations many other foodstuffs including sage, a culinary herb synonymous with good health (and also used in vermouths). The amount of thujone in vermouth is relatively small and the EU limits the permitted level in alcoholic beverages of less than 25% alc./vol. to just five milligrams per kilogram. 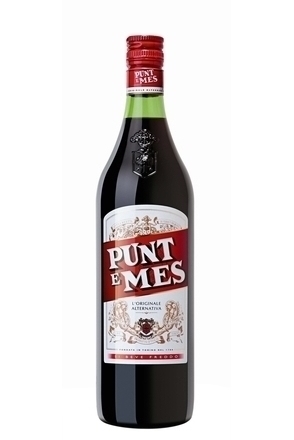 Sweet vermouth generally contains less than one milligram per kilogram of thujone, and dry vermouths considerably less than that. Alcohol is used in vermouth to both fortify the wine and as a solvent to extract and harness the flavouring substances of botanicals either by steeping alone or steeping and re-distillation. 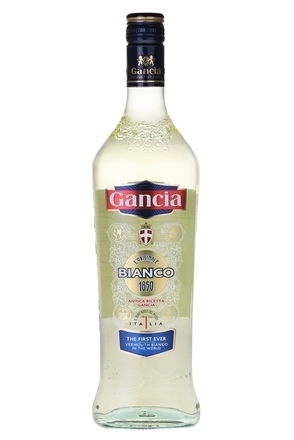 The alcohol used must be of agricultural origin and is typically grape or beet neutral spirit. Sugar is crucial to balance various bitter botanicals used to flavour vermouth and adds body and mouth feel. Mistelle (muted grape must) or dessert wine may be used to sweeten the base wine in addition to white cane or beet sugar. As previously mentioned, sweet vermouth contains about 150 grams per litre of sugar while dry vermouths typically have less than 50 grams. Caramel used to colour red vermouth also contributes to the vermouths body and mouth feel. The preparation of the wines on which the vermouth will be based uses processes common to all wine and wine based products. High molecular weight compounds and trace metals which could compromise clarity are removed from the wine by coagulation and colloid forming agents such as gelatine, bentonite and charcoal. Small quantities of potassium ferrocyanide may also be necessary to help remove trace metals. As is commonplace in all vinification, sulphur dioxide (SO2) may also be added to the wine to inhibit or kill unwanted yeasts and bacteria, and to protect wine from oxidation. After up to several days contact time the blend is decanted and filtered. Although alcohol is generally added at a later stage, the base wines of some vermouths, particularly in France, may be fortified at this part of the process. The base wine may be aged in wood, sometimes for up to a year, and may also undergo a form of biological aging similar to the flor process the Spanish use in sherry making before botanical flavours are added. 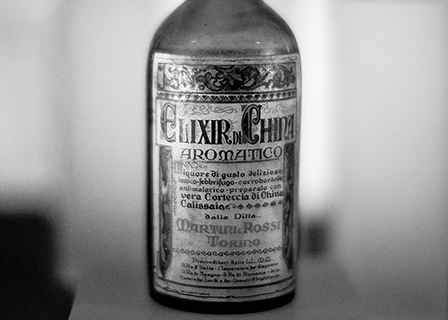 Botanical flavours (herbs, spices, roots and barks) are incorporated into the vermouth using various methods, the most usual being by concentrated extract (a tincture) produced by macerating the botanicals in neutral alcohol, or a distillate (alcoholate) made by distilling the botanicals in alcohol, often after a period of steeping. During maceration, the most common method, the botanicals are placed in a tank, covered with aqueous alcohol and agitated periodically. 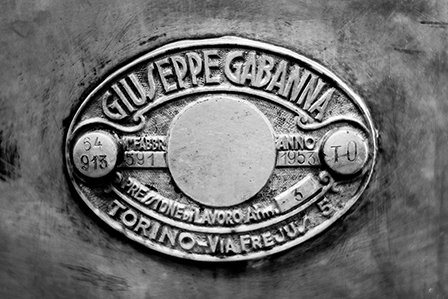 This is often performed in rotating tanks and may last for several weeks before the flavoured extract can be drawn off and the botanicals pressed. Distillation is used to extract the flavour of more volatile substances contained in botanicals such as fruits and St John's Wort, and to exclude compounds with a higher molecular weight which could have detrimental physical or organoleptic properties. 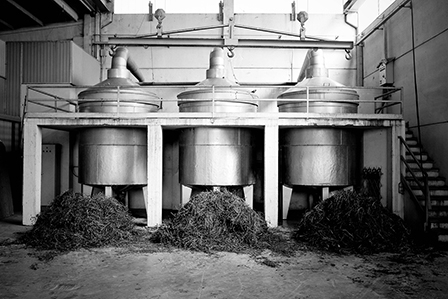 The botanicals are distilled in a mixture of neutral alcohol and water, often after a period of maceration. Some vermouths, most notably Noilly Prat, are flavoured by macerating the botanicals directly in the wine already fortified with alcohol. 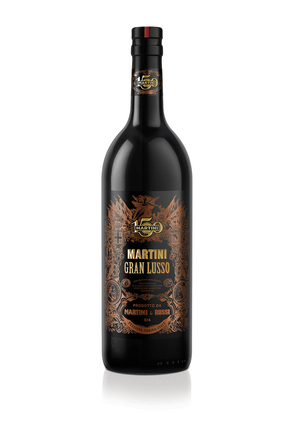 Vermouths are usually sweetened, some with added sugar, while others take advantage of the natural sweetness of grapes by checking fermentation with the addition of alcohol, so killing the yeast before it is able to convert all the natural sugars to alcohol. This low alcohol and high sugar wine is known as 'mistelle'. The sugar or mistelle is generally blended into the base wine, which is then mixed with alcohol, water, the botanical extracts and caramel if required in blending tanks. 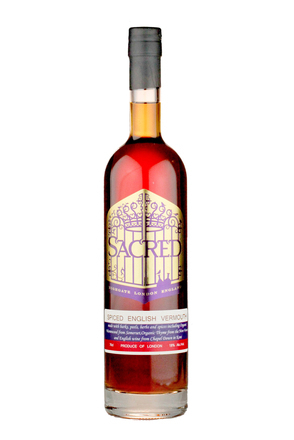 After homogenisation, the vermouth is allowed to marry for a period, usually several weeks. It is common to then stabilise and clarify the vermouth by refrigerating for several days at temperatures close to its freezing point (-8°C). This precipitates substances which if left may form a deposit if the bottled vermouth is subjected to low temperatures during storage, transport or contact with ice when served. Finally the vermouth is ready for bottling.